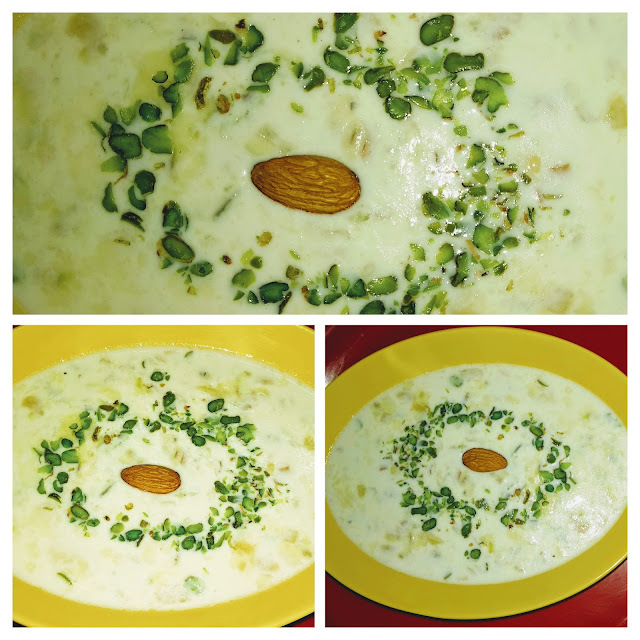 Makhana Kheer recipe is a healthy dessert that can be consumed during fast also. 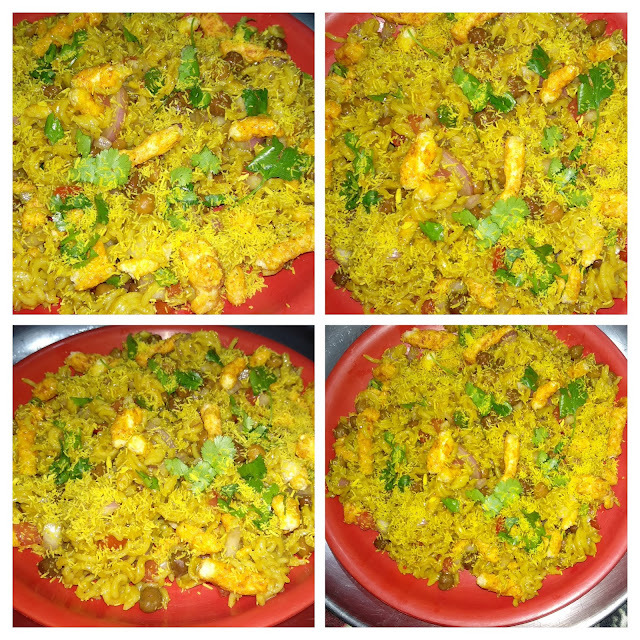 Try this yummy sweet dish this Navratra. 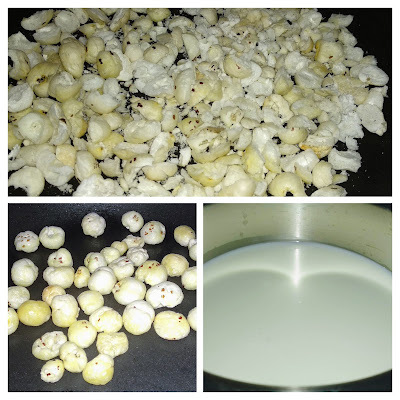 Makhana or Lotus seed or fox nut is a rich source of calcium, protein and gluten free. Good food for weight loss. You can eat them as a snack by roasting them in Microwave or pan for weight loss. You can add little ghee if you are not on diet. Makhana Kheer is a simple recipe, just like rice kheer. Some people use whole Makhana in the Kheer. I have used them by crushing them, so they get mixed well and give the kheer a creamy texture. So let us start. Heat a non-stick pan, add 1 teaspoon ghee and roast the fox seed on low flame for 5-6 minutes till they become crispy. Let them cool completely. Crush them after cooling and keep aside. Take 1 liter milk in a vessel and boil it on high flame continuously stirring. When it starts boiling, add cardamom powder and chopped dry fruits. If you like dry fruits in crunchy form, roast them in ghee till they become light brown. My family likes soft dry fruits, so I boil them with milk to make them soft. When the milk remains ¾ in quantity, add the fox nut and cook for 7-8 minutes. Mix sugar to taste and cook for more 7-8 minutes. Turn off the Gas. Delicious Makhana Kheer is ready to serve. If you like it cold, refrigerate it for 2-3 hours, garnish with pistachio and serve chilled.